After my spelling lesson from God, I arrived at the hospital to make a difficult decision with Pedro—one that it turns out we didn’t actually have to make. But a worse trouble awaited us. After another round of chemo, Pedro contracted a fungal yeast infection in his blood. With no white blood cells to combat the infection, his life once again hung in the balance. I coped. Or I thought I did. Mostly I used the telephone line in the room for dial-up Internet. If someone needed to get ahold of me, they could call my cell phone. I opened an eBay account. I started bidding on Longaberger baskets. While Pedro drifted in and out of oblivion, I waited with baited breath for an auction to end to see if I’d won the item or not. Each win brought a bolus of pleasure (um, injection of pleasure—I’d been living in the hospital so long I had started to pick up the lingo for ‘injection’ or ‘boost’). Those little victories seemed to balance out the constant bad news, worries about hospital bills and concerns about kindly (but sometimes interfering) friends and family members. There’s something about life or death situations that brings already simmering personality conflicts amongst loved ones to a quick boil. Bidding on eBay was a test of skills against nameless other bidders. If I lost, it really didn’t matter. If I won? Well, I got the pleasure of a new purchase that served a utilitarian purpose (and another bill—but I’d worry about that later). Some days, I felt too weary to even lift a coherent prayer heavenward. I didn’t sleep well at night (those narrow Naugahyde hospital chair beds provided little comfort, not to mention the constant comings and goings by the medical staff). I kept it together. Or so I thought. When Pedro’s white blood count miraculously rose two days sooner than the doctors expected it to, I turned over the caregiving duties to his brother and hurried home to the girls and my job. My capacity for patience shrunk. I filled my journal with pleas to God to forgive me for my lack of patience, my inability to get anything done, my growing addiction to eBay bidding and help for the senior play (which I directed as part of the senior English class). We still hadn’t really finished unpacking and organizing from our move over a year ago, and with my parents living in our small house with us, we decided to remodel the attic so they would have a place to live once Pedro returned home from the hospital. You could say I had a full plate. But despite all that was going on, and despite my head knowledge that maybe I needed to stop bidding on baskets and spend more time praying, my heart rested in God’s peace. It’s hard to explain the peace I felt—I knew without a doubt that God controlled the situation. I knew He would be with me, no matter what happened. God protected me from myself during this troubled time: I lost more auctions than I won—so the monetary damage was minimal. I wrote about my frustrations with people in my journal. The Holy Spirit held my tongue time after time when I longed to lash out at someone in frustration. My students continued to learn and progress and the senior play came off without a hitch. Our girls still loved me, even when I got impatient with them. Why do I share these troubles with you? Maybe you’ve felt the same way during a stressful period during your life. 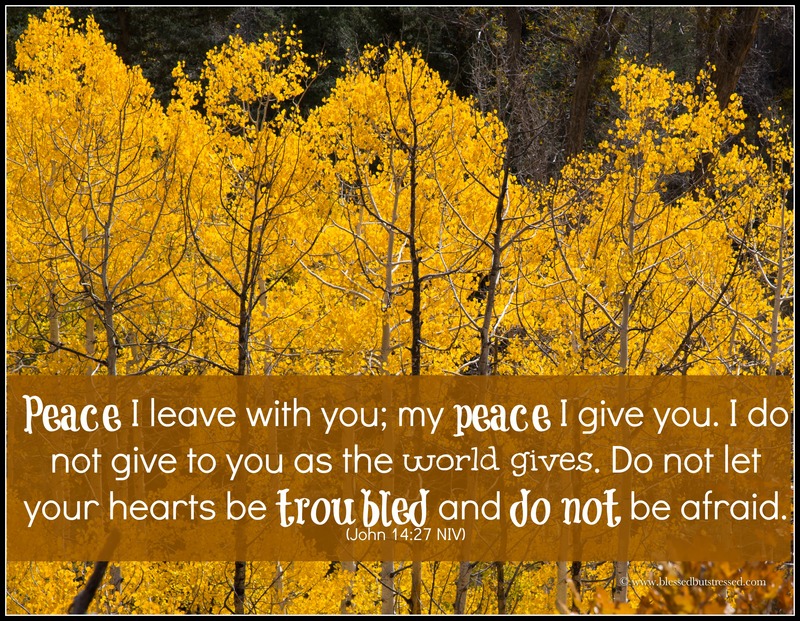 Maybe you’ve wondered how you can have so many troubles yet feel so full of peace. I call it a happy-face-state of grace. It defies reason—and that’s ok. Because God tells us that the peace he gives us is not the same as the peace the world offers. For more caregiver comfort, start here.